Planning is in the final stages for the Office of Online Education team’s faculty event to encourage collegialty and participatory spontaneity. We’ve set the hashtag to . We may be live-tweeting during the event too. 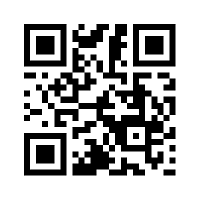 I added a QR code to a couple of places that faculty and friends read everyday: the Smore flyer and my email signature.